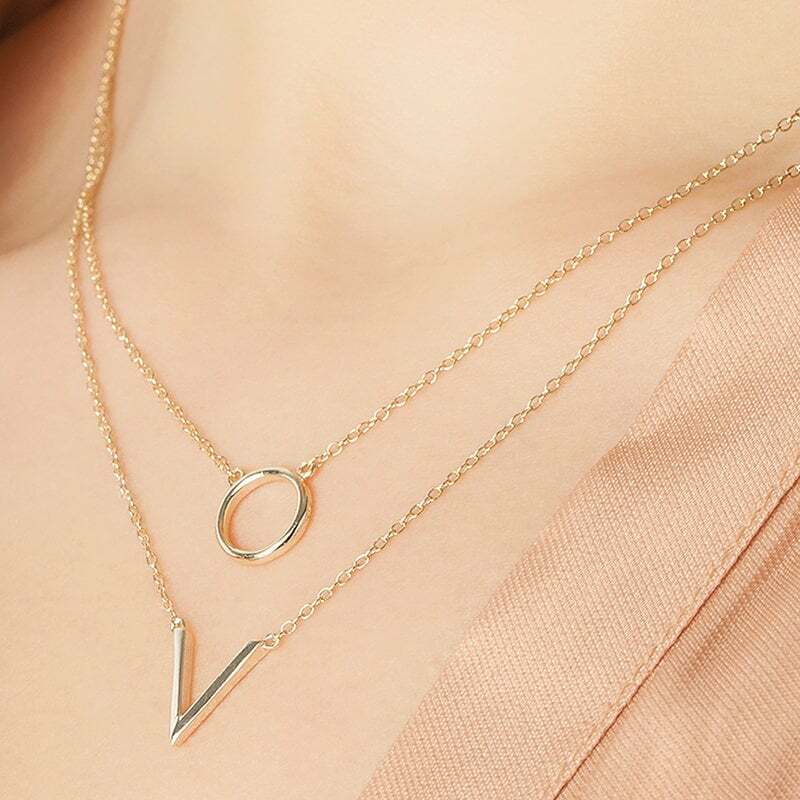 Adjustable chain from 40 to 42 cm. 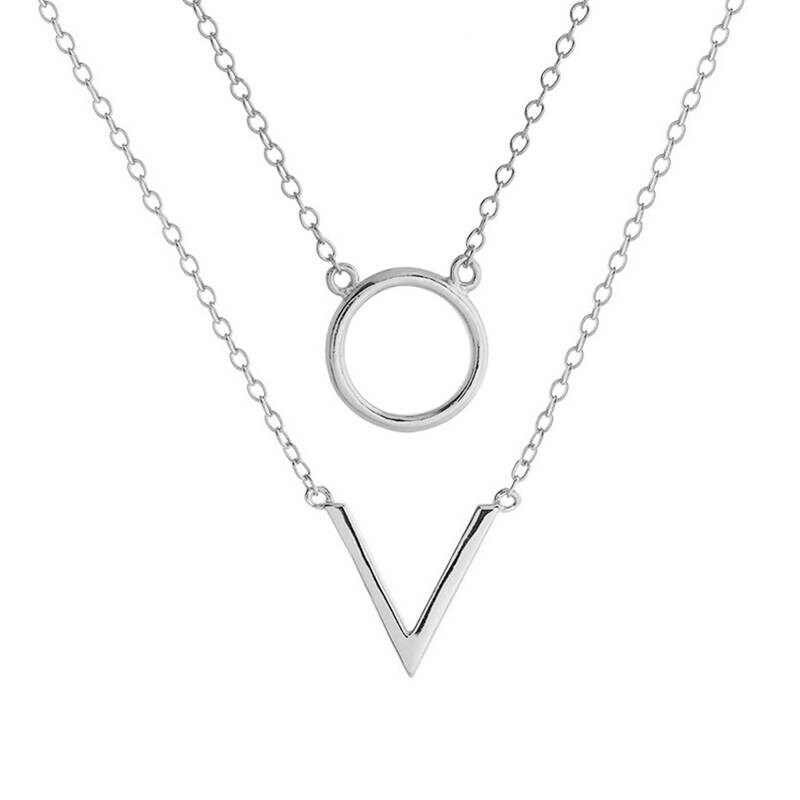 V shaped necklace inspired by geometry and architecture. 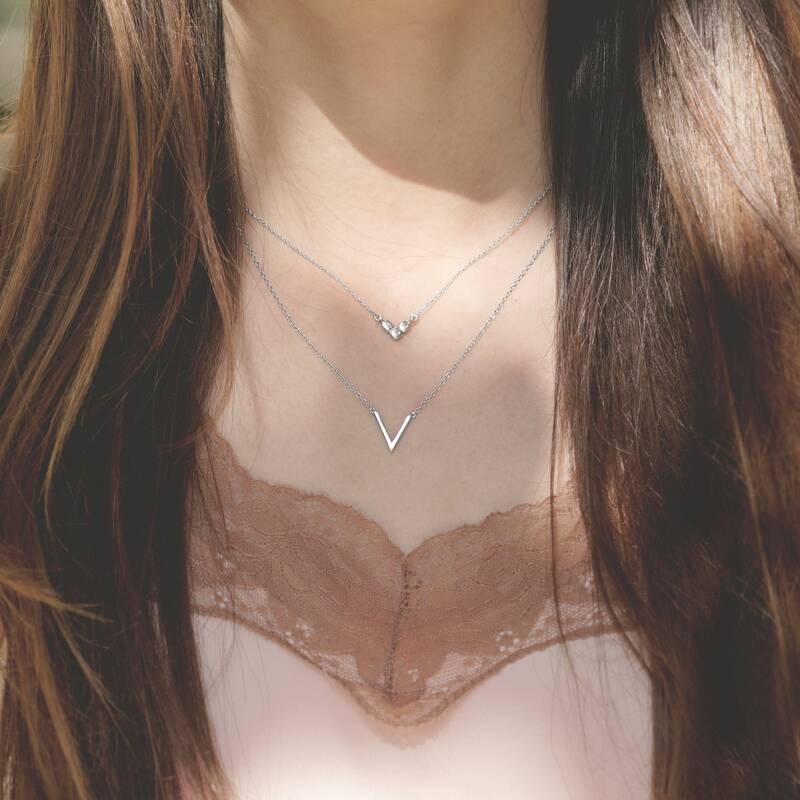 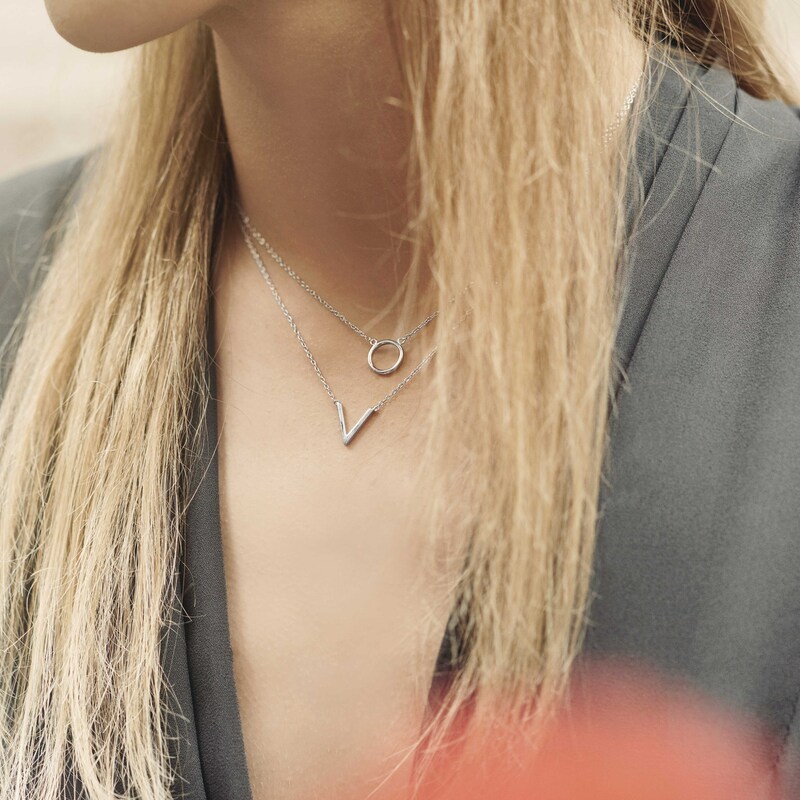 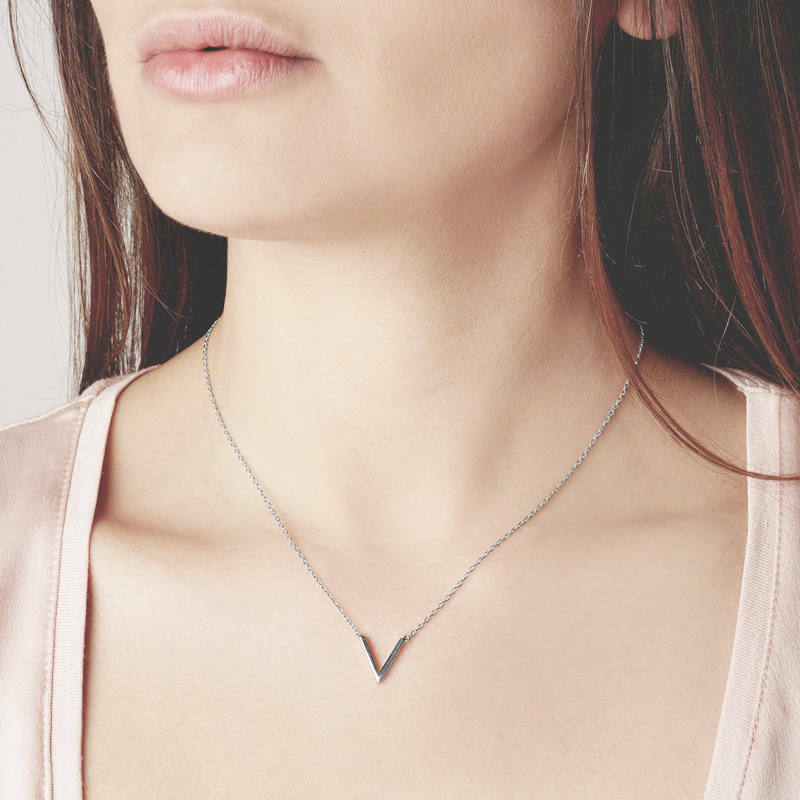 The pendant is an open triangle reminiscent of the letter V.
This delicate necklace has been designed to be worn in combination with our "O" shaped necklace.